If you know me at all, you would know that today's news of the shooting at the Connecticut elementary school hit me hard. As a mental health professional, I have said for years that we are breeding sociopaths. Our children are damaged. Our culture is broken. We have children being raised in single parent homes, children being raised by strangers, children not attaching to an adult figure, children being neglected, children being abused physically, sexually, and emotionally. Children growing up feeling entitled. Children not learning basic virtues. Children not being loved. Children being given everything but what they need most--a connection with their parents. And then those children have children. And the pain inside becomes insurmountable. Our culture has an attitude of "each man for himself." One of "I deserve this." One of self-absorption. One that is materialistic. One that holds an "if it feels good, do it. If not, do away with it" attitude. We have lost the values of commitment, hard work and sacrifice. We refused to believe the inherent truth that some things are right and others are wrong. We are afraid of being politically incorrect. We allow the media to penetrate and influence our minds. And then we wonder why a young man could walk into a school and kill 26 people. This isn't an issue about guns. This is an issue about our culture. It is about what is wrong in our culture that can lead to events like today and earlier in the week. And the bottom line is this--our grief over this situation means nothing if we don't put it to action. Without action, we will see more and more tragedies like this one. We must take this as a call to action. We must come together as a society and make changes NOW! We must look for solutions. We must, ourselves, make sacrifices. Otherwise, tomorrow it may be you. It may be your child. Once again, I have to share this story. I wish I could give credit to the author, but it is unknown. 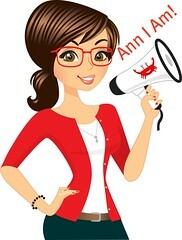 Ann, I have been like everyone else today - just in shock that something like this could happen. We have to raise a generation of kids that become responsible adults. Praying that I do my part to help be part of the solution instead of more of the problem. I remember hearing a similar story...When Hitler was starting he was targeting the Jews...People were saying they weren't Jewish so it didn't affect them...and so it went..until it was everyone. All I can think is something like this makes you want to never let your child out of your sight. You did a great job on this post! Thank you for sharing your insights and the truth! Our nation is in grave danger... for not practicing the principles God has given us in his Word. And families are in danger, also. Thank you for your courage!